The last couple of days have seen the beginnings of a huge, dramatic shift happening in a small corner of Africa: The entire government of Burkina Faso collapsed on Thursday; a day later, Burkina Faso's President Blaise Compaore resigned. Didn't know that there was (non-Ebola-related) trouble a-stirring in that particular West African hot-spot? That's alright, it's come as a shock to a lot of people. Even Compaore himself likely didn't think things would get this far. There's a lot that's unclear and generally confusing about the situation, no matter where you're standing. But let's break it down like this, starting with some geography. Where Is Burkina Faso, Again? The landlocked country sits in West Africa, occupying roughly 105,900 square miles between six other nations — its closest ally, the Ivory Coast, is to Burkina Faso's southwest. It's got Togo and Ghana below it, Mali above it, and Benin and Niger to the east. So, What's Been Going On, Exactly? On Thursday, angry protestors in Burkina's capital, Ouagadougou, stormed the parliament building, city hill, and the headquarters of the President's political party, setting all the buildings ablaze. They also broke into and set fire to a hotel where members of parliament were thought to be staying, and ransacked the houses of the Compaore's relatives. Police responded with tear gas and bullets; five people died in the protests. As the violence grew, the President declared a state of emergency and asked for peace. Hours later, the Compaore "dissolved" the government and but refused to fully resign, saying he would stay in place while an interim government was formed. Protestors were having none of it. The next day, tens of thousands of people flooded the streets of Ouagadougou, demanding that he get out, and now. Within hours, Compaore had announced his resignation — via an army official — and disappeared. 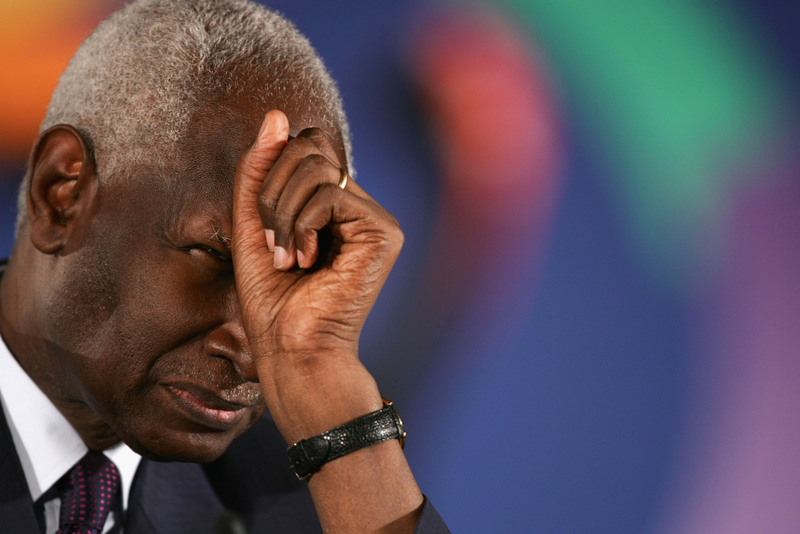 Ever since a 1987 military coup, Compaore has been Burkina's president. He's gone through five terms as the country's sole leader, amounting to a whopping 27 years. On Thursday, he did what he's always done: asked his legislature to approve a law that would let him run again, by overturning a provision that caps a president at two terms. Casual. Except, not this time. This time, people were mad, and protests — part of a larger civil disobedience campaign organized by opposition parties in reaction to this legislation — broke out. Actually, yes. Since 1999, Compaore has seen at least six other outbreaks of protests and violence; just three years ago, demonstrators and soldiers again damaged government buildings and marched through the capital. Despite this, he's managed to ride along pretty much unscathed, until now. Considering the urgency of saving the nation, I have decided that I will assume from this day the responsibility of the head of state. I undertake a solemn engagement to proceed without delay with consultations with all parties in the country so as to start the process of returning to the constitutional order as soon as possible. What this means for the country? Only time will tell.